Last week, the Barrington Bulletin posted its first “Letter to the Editor” — a request from reader Bruce Byrne to the four candidate for Barrington Board of Education for some background. 1. How many years have you lived in the Barrington School District? 2. How many children in your family attend or have attended Barrington schools? 3. How many school board meetings have you attended in the last two years? 4. In what capacities have you evaluated budgets? 5. What non-budget interests or skills can you bring to the school board? 6. What are the two or three greatest challenges facing the Barrington School District, and how should we address them? So far, I have received a response from Bolling, who agreed to have the information posted here. Should any other candidates care to have their responses posted here, please send your answers to BarringtonBulletin@gmail.com. • I have lived in Barrington for just over 14 years. 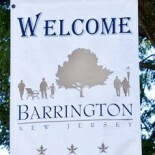 My husband and I moved to Barrington in September of 1999. • I am proud that all three of our children are excelling in the Barrington School District. 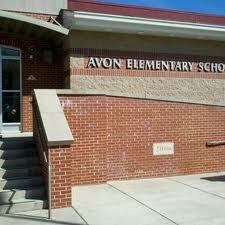 I have two children in Avon and one in Woodland. • I was originally sworn into the Barrington Board of Education in October 2009. Since then, I have only missed two regular meetings. • Although I have not been a member of our Finance Committee, our board has worked closely together on how to best to allocate our funds with the best interest of our students and district in mind. I am currently a member of the Negotiation Committee, where part of the negotiation process includes evaluating the impact of a new contract on the overall budget. Staffing our school district is a large and important part of our overall budget. • As a board member, I have supported updating and upgrading our technology so our students and staff can utilize the benefits of what is new, exciting and offers alternatives to traditional learning. Since 2009, we have installed SmartBoards in our classrooms and have added SmartTables to assist with hands on and interactive learning. We’ve upgraded our Internet and computers, allowing us to keep up with technological changes, ensuring we have the resources available to challenge and allow our children and staff to explore learning through multiple mediums. • I work to keep our schools safe for our children. Although our schools have been updated with new additions within the past 8 years, some of our new construction still needed some additional updating. For instance, the Avon gym needed acoustic panels installed. This was a safety concern for our children because, in the event of an emergency, instructions were difficult to hear. These panels were installed within the past year and have made a drastic reduction in the noise level in the gym. We have also installed security cameras around both schools and a new keyless entry system on the doors for broader accessibility and control. • By profession, I am a certified Project Manager for a large telecommunication company. One of the skills I carry over to the board first and foremost is Lessons Learned. I believe that our board is continually progressing forward while learning from our past. By taking into account our past experiences, we are able to grow as a school district and community. Another skill I carry over is communicating with our stakeholders. These stakeholders include our children, staff, administration, parents, community and beyond. I work to talk to people in our community and listen to what concerns they have, what is working and what is not. I then try to relay those messages to our board for discussion and action as required. 6. What are two or three greatest challenges facing the Barrington School System, and how should we address them? • I believe the biggest challenge we face as a district is effectively and efficiently utilizing the funds in our budget as we strive to provide a safe learning environment for our children. We need to do this while ensuring we are up to date with the latest technologies. With budget constraints over the past few years along with our growing class sizes at Avon, we have had to make some adjustments to some of our programs. We work closely with our teachers in discussing new curriculums and identifying alternatives to traditional education. Thinking outside of the norm has opened up opportunities to new and creative ideas for learning. We have also taken measures to help ensure the safety of our children in our schools and will continue to look for opportunities to continually improve our security system. • As a sending district to Haddon Heights High School, we want to make sure our students are maintaining high standards along with their peers from Haddon Heights and Lawnside. Our board has asked our administration to partner with both Haddon Heights and Lawnside administration on the curriculum we are all teaching with the goal that all districts come into the high school with a more uniformed skill set. Thanks, Mrs. Bolling, for taking time to answer these questions. This is a great way to inform voters. A really appreciate the time you are putting into making Barrington a better community. This entry was posted on October 22, 2013 by Barrington Bulletin in Schools, Uncategorized and tagged candidate guide, election, school board.